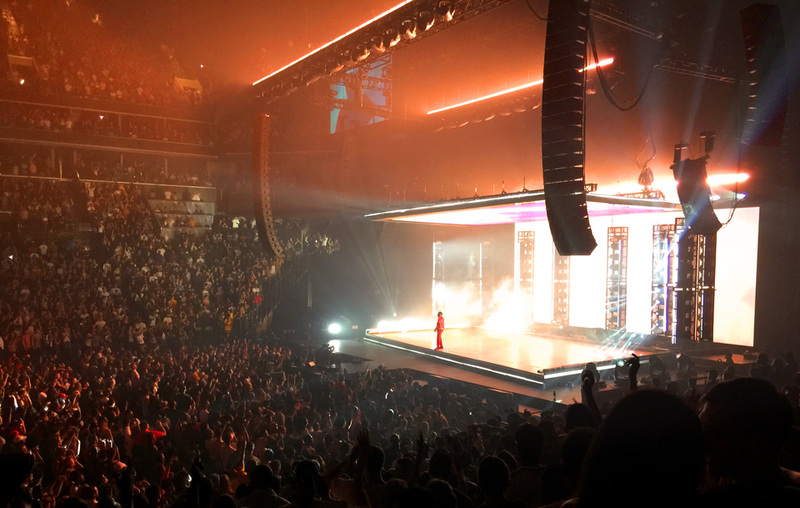 From monitors to mains, VUE’s beryllium-infused sonic purity and ample headroom earn high praise on the summer’s hottest concert ticket. With a staggering eight VMA nominations, Kendrick Lamar recently kicked off one of 2017’s most anticipated arena tours in support of his double-platinum “DAMN.” album — his third number #1 release on the Billboard 200. 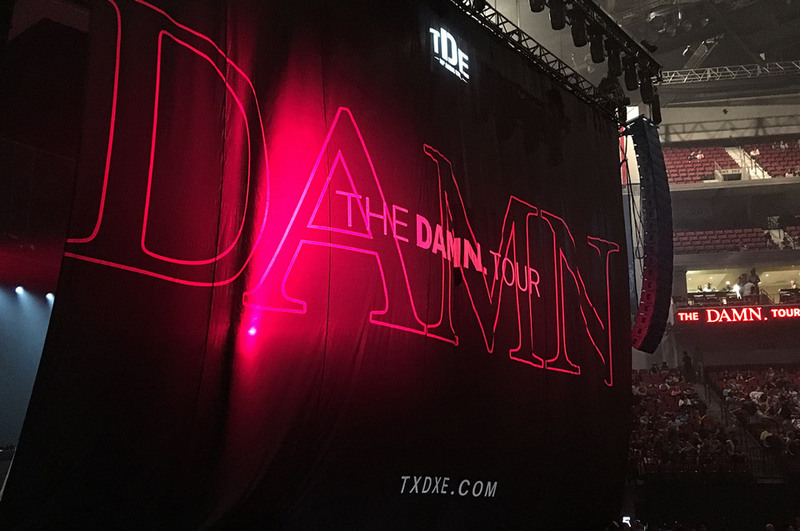 For the DAMN Tour, which hits cities in the US, Canada, and Mexico, FOH Engineer Kyle Hamilton specified a complete VUE sound reinforcement system, supplied by Escondido, California-based Sound Image. 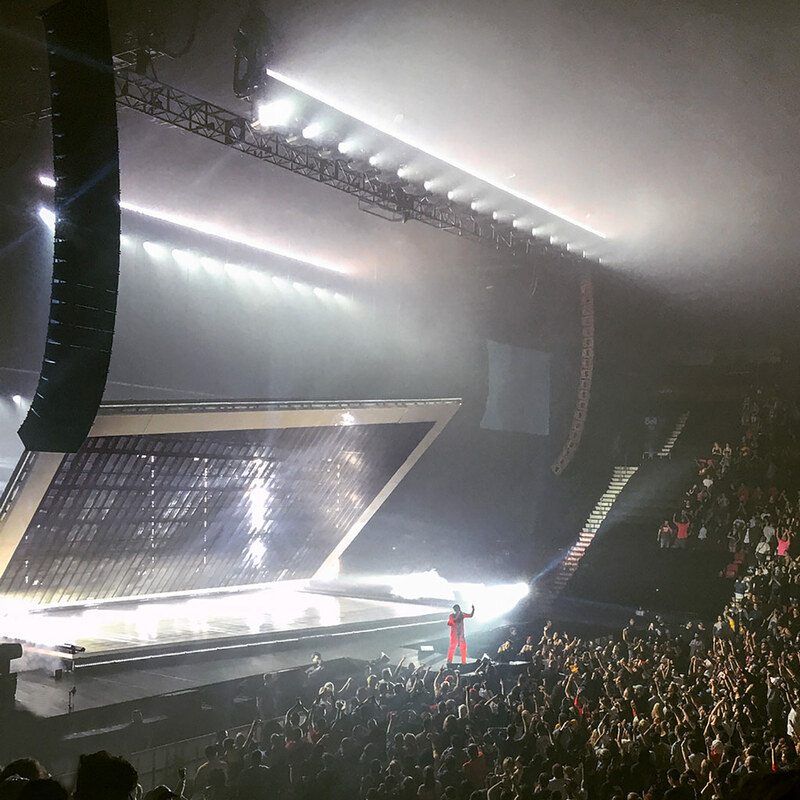 Debuting last month to a packed house at the Gila River Arena, just outside Phoenix, the system includes left and right VUE al-12 line arrays consisting of 20 elements each, with two auxiliary side-hangs of twelve elements each. 36 VUEDrive V3 Systems Engines provide power and processing for the arrays. 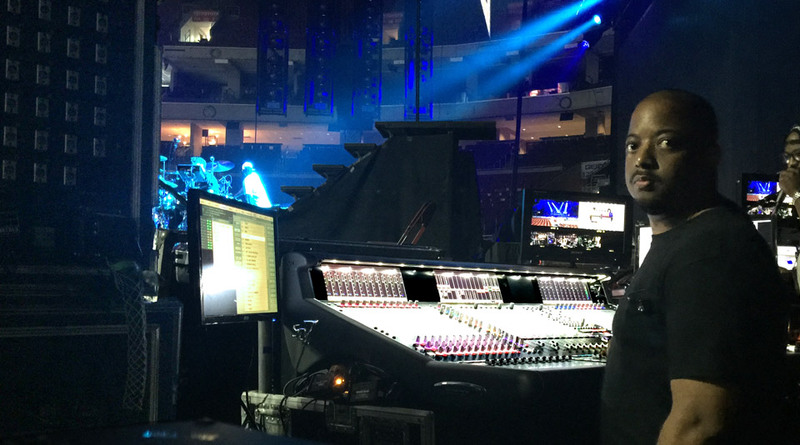 A DIGICo SD7 handles the FOH mix with a pair of VUE h-12s serving as nearfield monitors. VUE provided Hamilton with an opportunity to audition the al-12 array at a special demo site near Primm, Nevada. 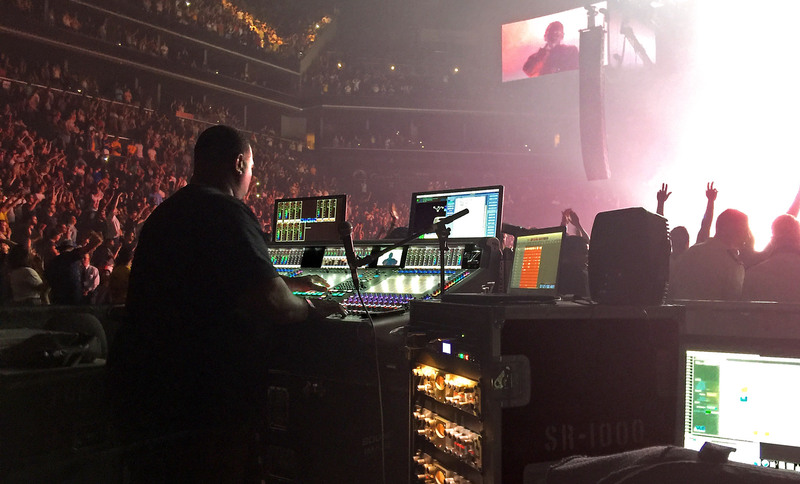 Hamilton spent nearly six hours pushing the system to the extreme — often pushing up to 10db past his maximum requirements. 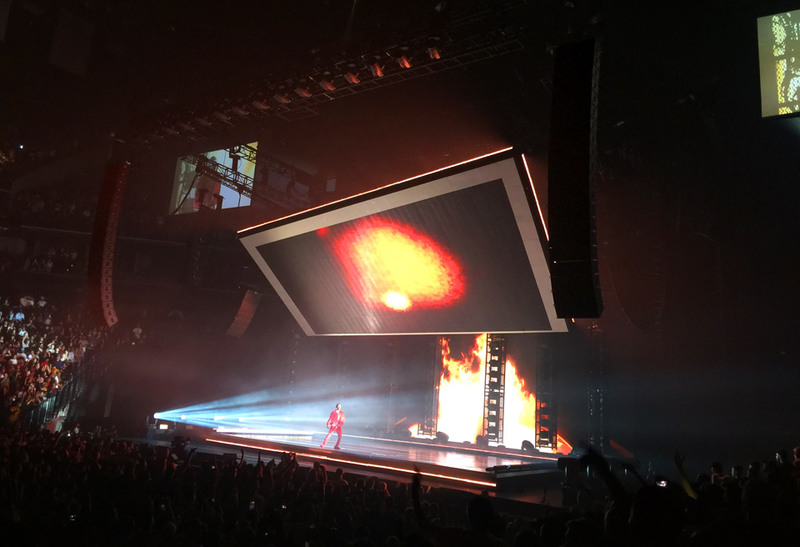 Everything from fidelity to sheer output was thoroughly evaluated. “The accuracy was the first thing I noticed,” explained Hamilton. 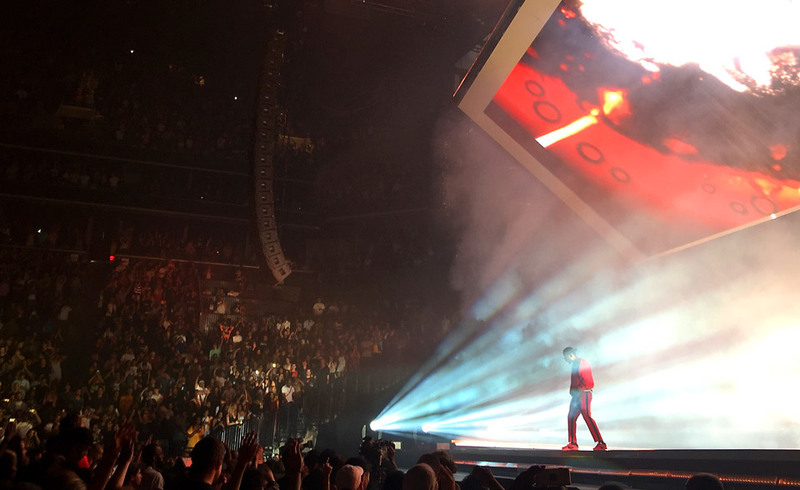 “I put up a session that I knew needed some work in one particular area. Right out of the gate I heard it. 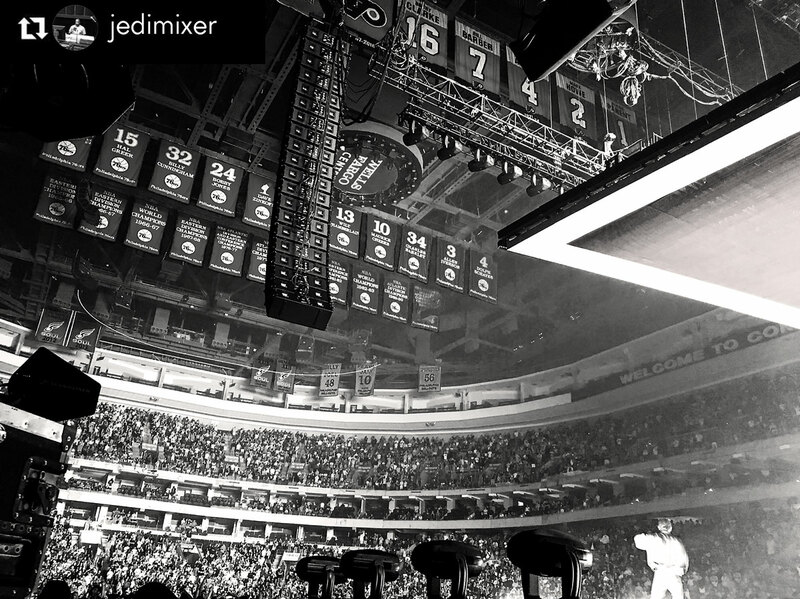 I’ve never had that happen with a PA at the scale of the al-12. “The accuracy was the first thing I noticed,” explained Hamilton. 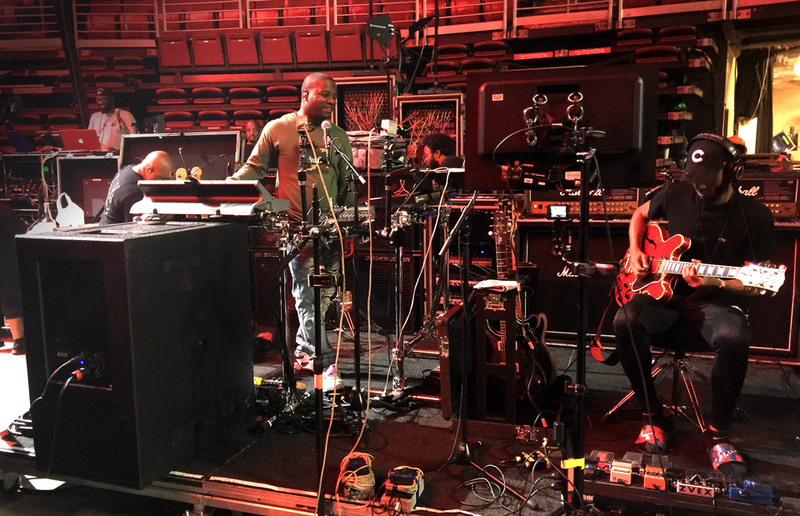 “I put up a session that I knew needed some work in one particular area. Right out of the gate I heard it. I’ve never had that happen with a PA at the scale of the al-12. And output was equally impressive. 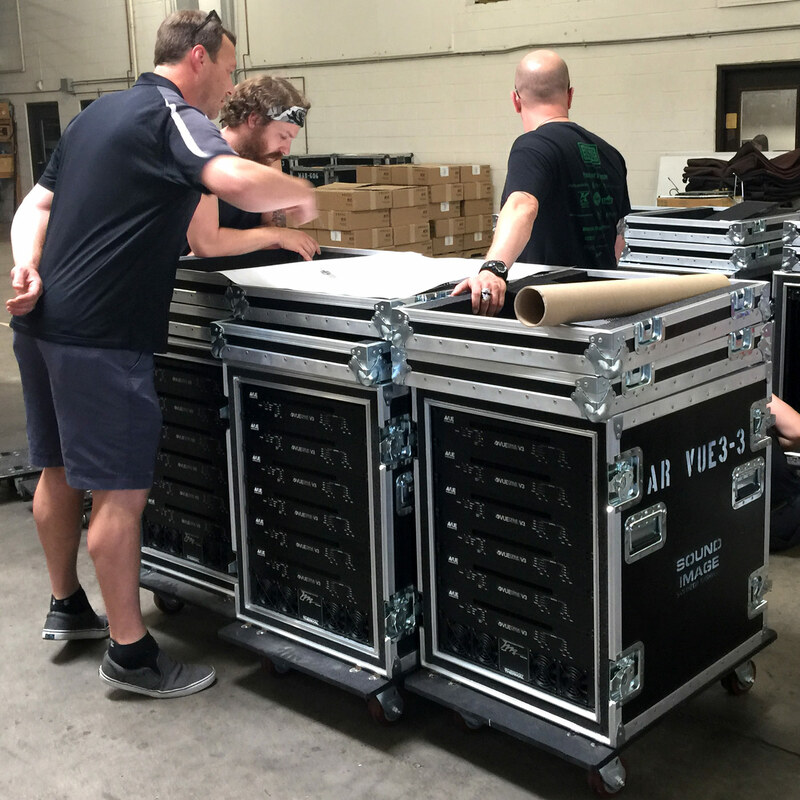 Whatever level I wanted I got, and with room to spare.”At the end of the day, the VUE al-12 surpassed expectations and the deal was set. 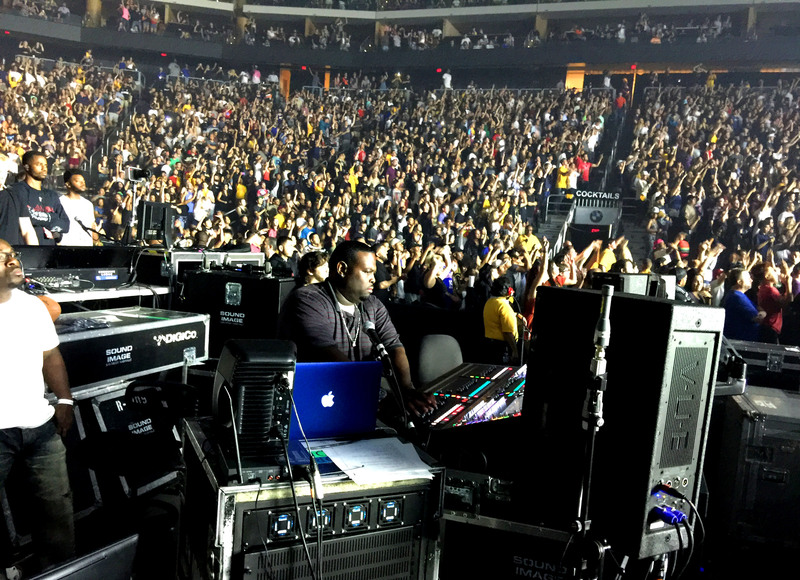 Sound Image would provide a complete VUE al-12 based system for the Kendrick Lamar DAMN Tour. 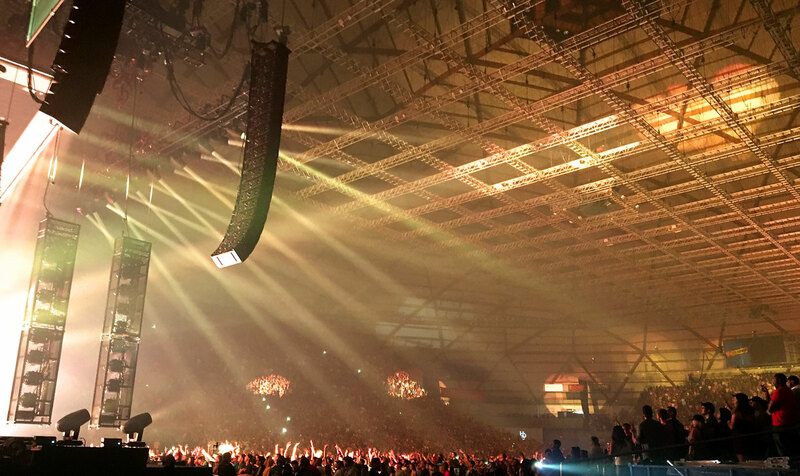 At the end of the day, the VUE al-12 surpassed expectations and the deal was set. 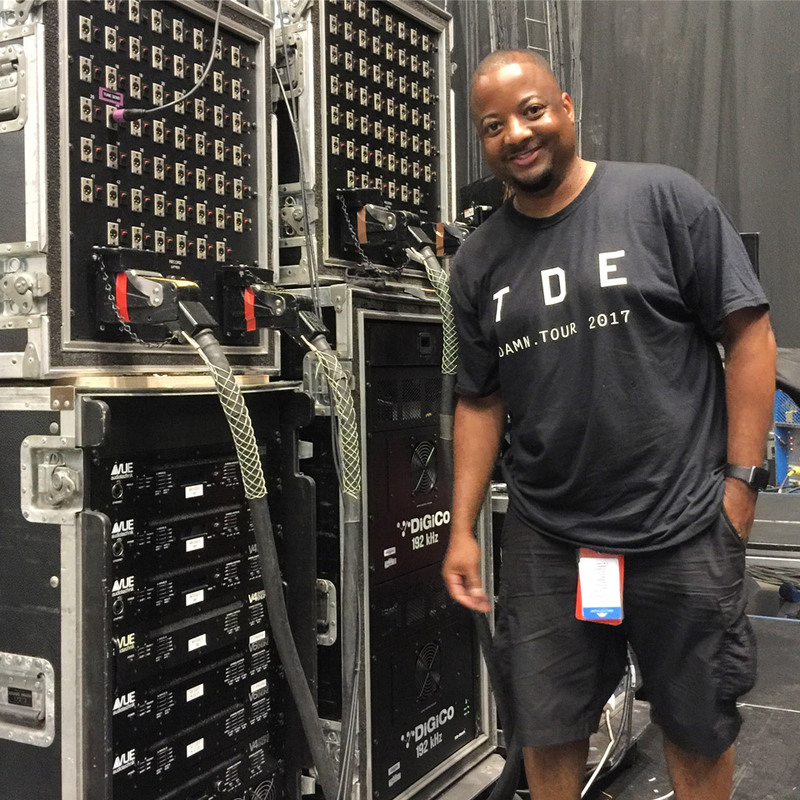 Sound Image would provide a complete VUE al-12 based system for the Kendrick Lamar DAMN Tour. 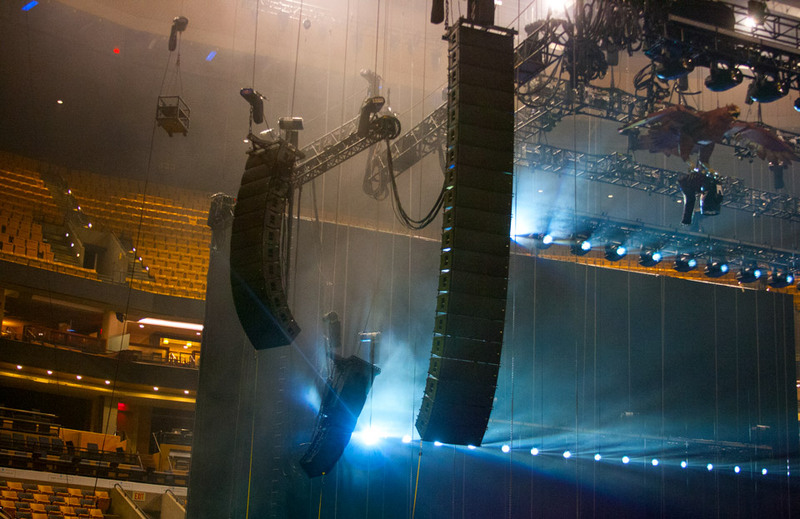 For low-frequency support, Sound Image provided 32 VUE hs-221 dual 21-inch ACM subwoofers. 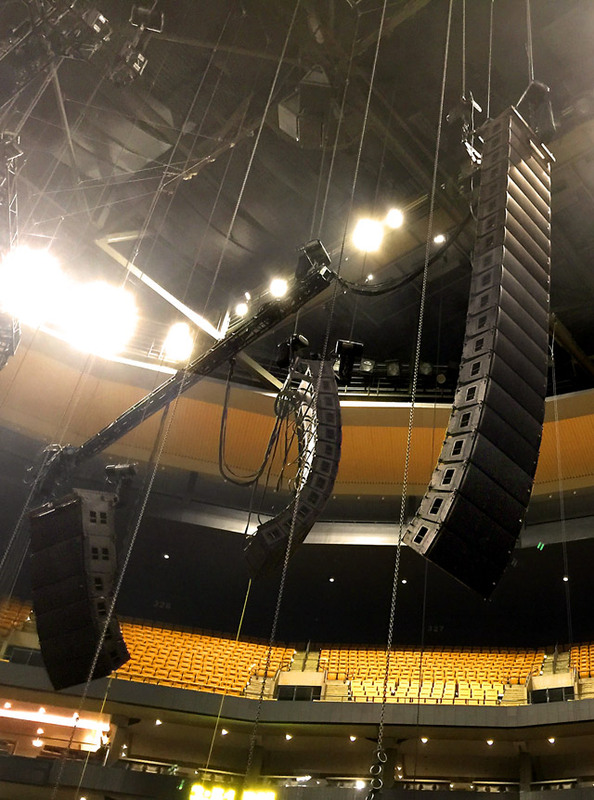 The subs are configured in left and right arrays of 16 cabinets each, located on either side of the center stage thrust. 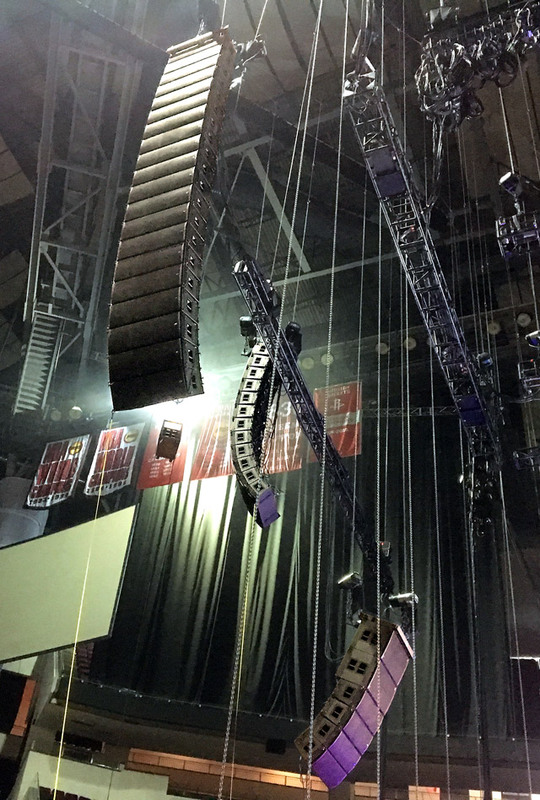 Onboard VUEDrive electronics provide all power and processing for the subwoofer arrays. 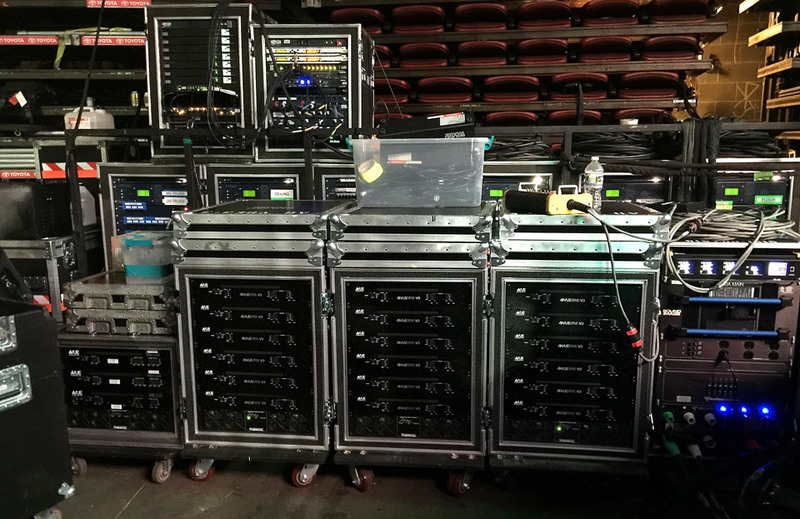 The all-VUE PA is complete with a full monitoring system that includes left and right side fill arrays consisting of four al-12 elements and two al-12SB subwoofers each. 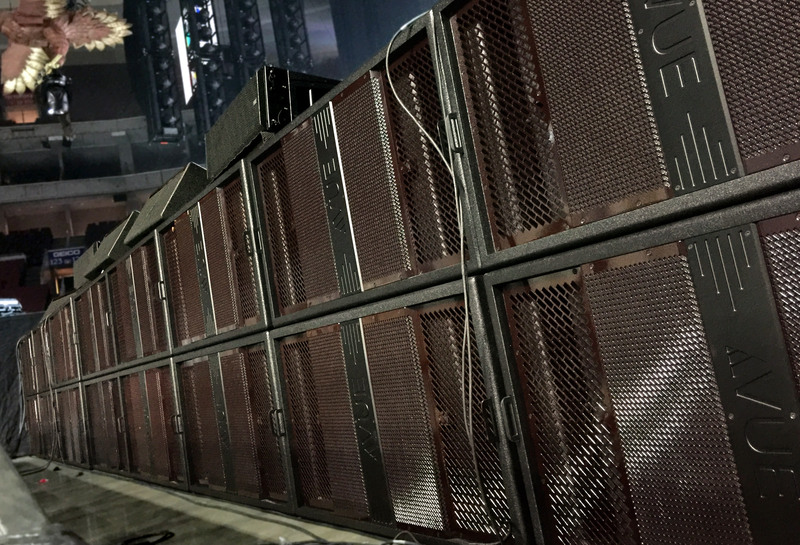 Every musician also receives an hs-28 ACM subwoofer for added bass and drums. 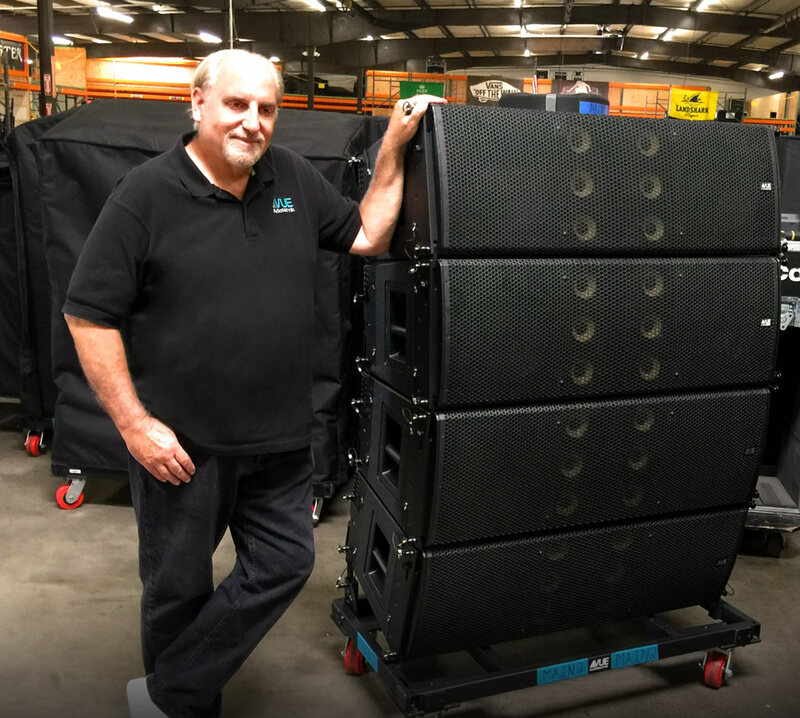 VUE hm-212 dual 12-inch stage wedges are on the downstage lip, on top of the subs, in-between the al-8 front fills for when a surprise guest appears. 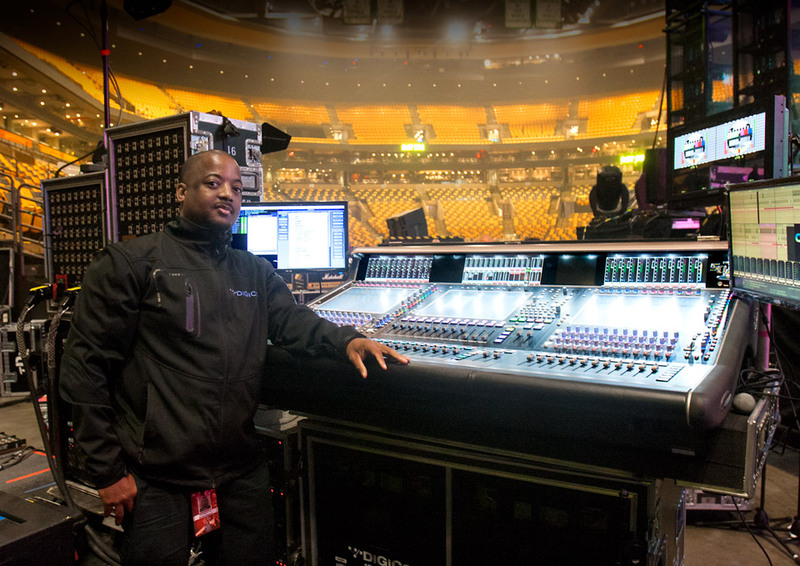 VUEDrive Systems Engines provide power and processing, while a second DIGICo SD7 handles the monitor mix. 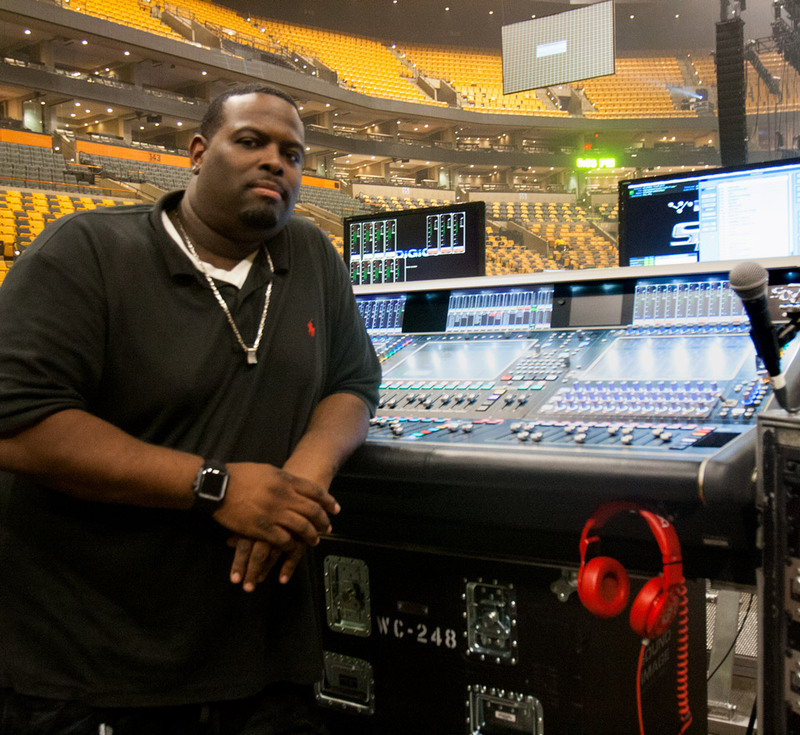 In many ways, Kyle Hamilton’s VUE journey, which began nearly three years ago with a set of h-8 monitors at FOH on the Pharrell Williams tour, has now come full circle as he debuts the al-12 on its first arena tour.